If you have unwanted facial and/or body hair you wish to be rid of, or visible epidermal issues, such as uneven pigmentation, spider veins, "beard bumps" or rosacea, Envision may have the solution you're looking for. Get ready for beautiful, smooth, virtually flawless skin with the powerful technology of the GentleMax Pro from Syneron-Candela. Is it Fast? Does it Hurt? Thanks to its unique, patented technology, the Syneron GentleMax Pro (SGMP) is the fastest dual wavelength hair removal laser on the market. With its use of two different wavelengths and exclusive cooling system, this advanced technology is able to treat all hair and skin types quickly and comfortably. According to Dr. Jed H. Horowitz, a plastic surgeon in Orange County, California, on the Real Self health and beauty website, this popular technology is a winner. "The Gentle Max Pro laser is revolutionary in the treatment of laser hair removal. Its unique patented cooling system provides comfort as well as efficacy for all skin types. Its ability to pulse quickly offers quick optimal treatments with minimal redness or discomfort." Miami Dermatologist, Todd Minars, MD was also impressed with the SGMP system. "The GentleMax is actually two lasers in one I have experience using several lasers for hair removal over the last nine years and I think that the best laser for hair removal on light skin is the GentleLase and the best laser for hair removal on dark skin is the GentleYag. Therefore, the GentleMax (which is really just both of these lasers combined into one box) would be an excellent choice." 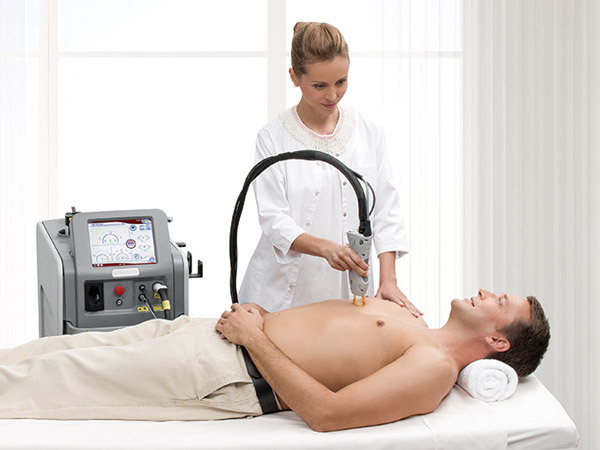 Not only is the SGMP system ideally suited to hair removal in the entire spectrum of skin hues, but the therapy can also be used for skin tightening to reduce sagging neck and facial skin, as well as to do away with rough patches and discoloured areas leaving a firm, unblemished result. What have you got to lose besides imperfections you don't want? Call Envision Medical Spa in Leduc today for your free consultation to learn more about what the GentleMax system can do for you!